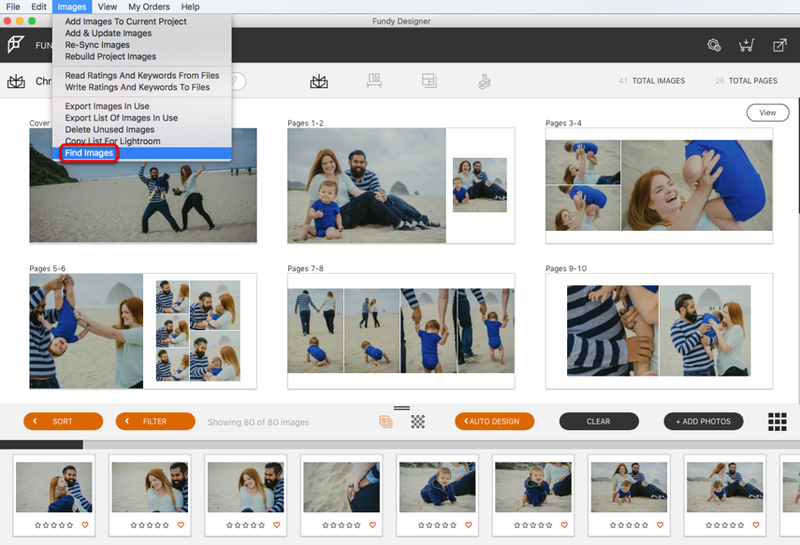 You can copy and paste a set of numbers into Image Finder and it will find them on your hard drive! 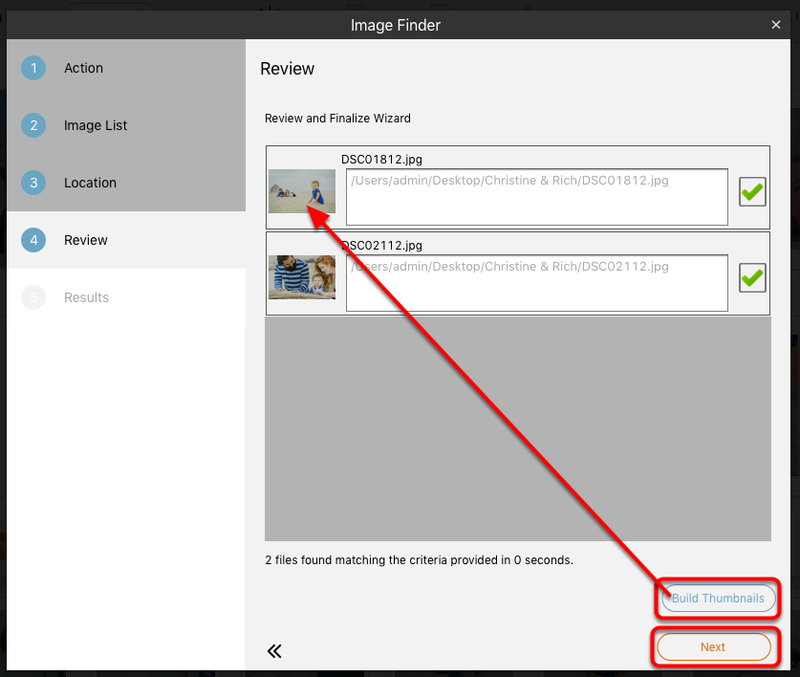 With Image Finder, you can import images directly into a new project, or add those 2-3 images your client decided they wanted at the last minute into their album with ease. 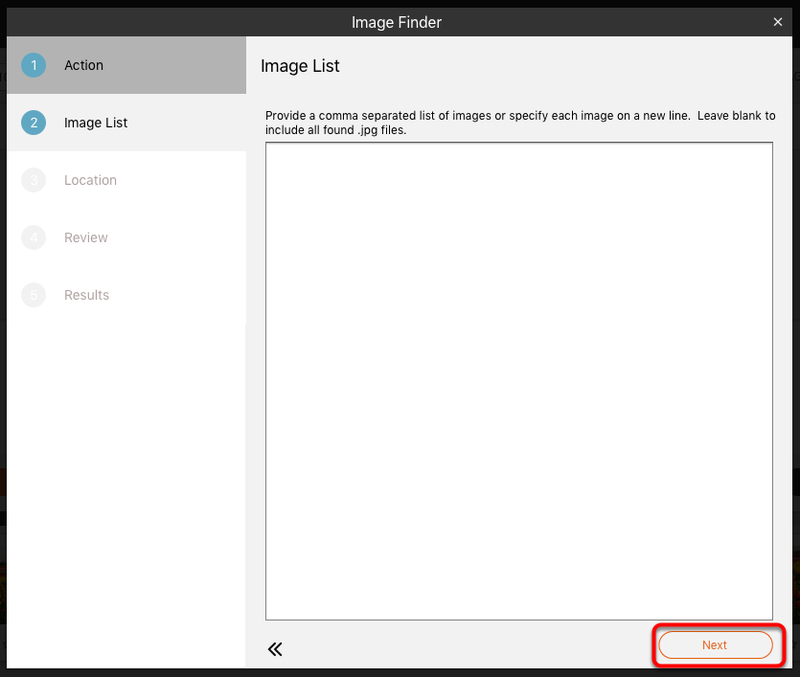 Of course, you're also able to use Image Finder to find and save images to a folder outside of Fundy Designer. 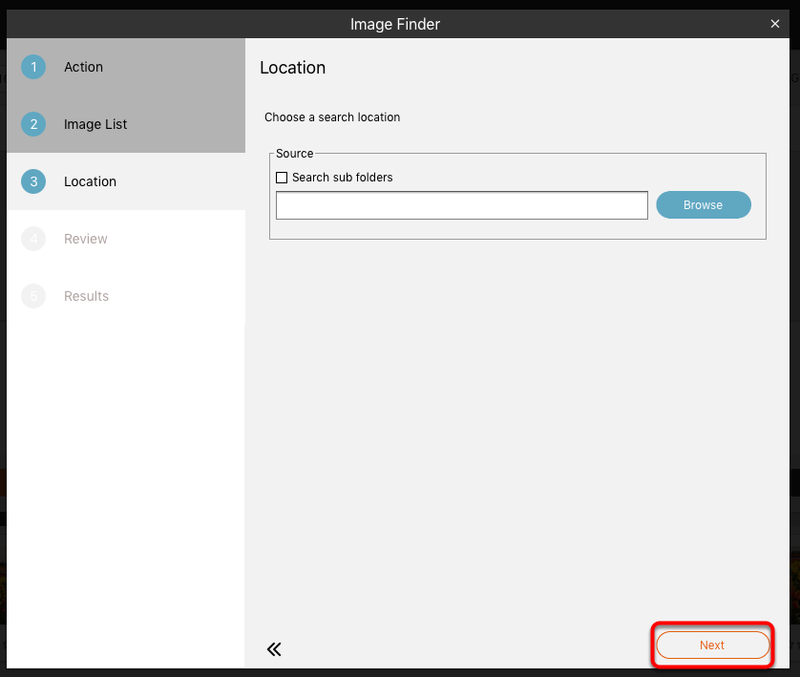 When you have decided your action, choose "Next"
Enter search parameters, choose "Next"
Choose your search location. 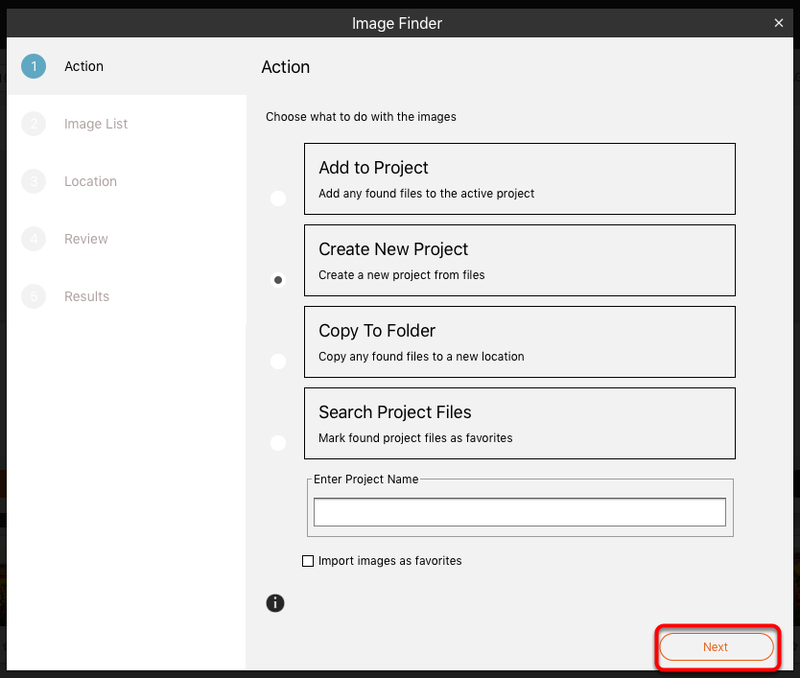 If you are creating a new project with this search, you will also be prompted to choose a destination for the files found. Choose "Next"
"Build Thumbnails" will create a thumbnail of your search results. Choose "Next"
You may receive this message, the choice is yours! Want to see it in action? 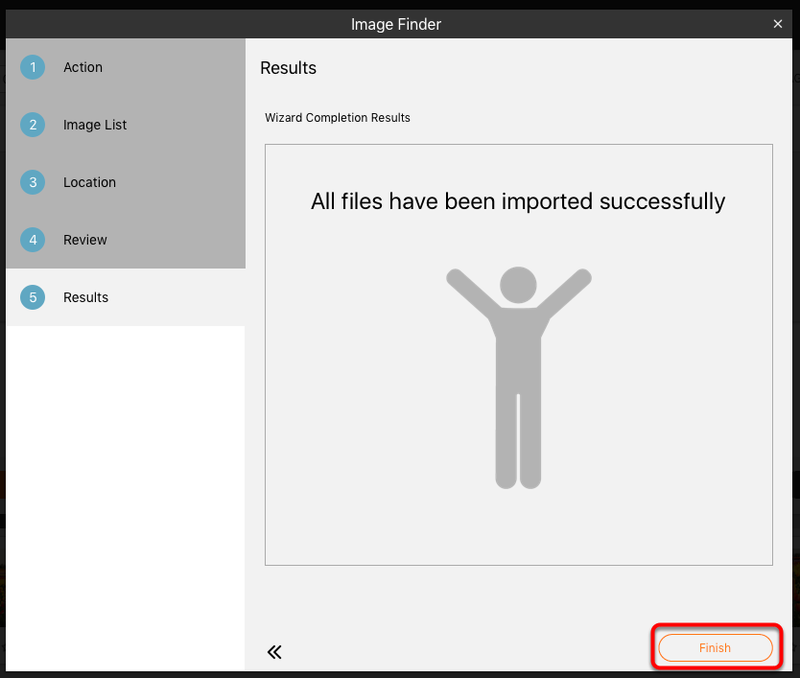 Here is the video tutorial for Image Finder v7.